Raman spectroscopy is an important analytical method for identification and characterisation of materials composing precious objects of cultural significance. 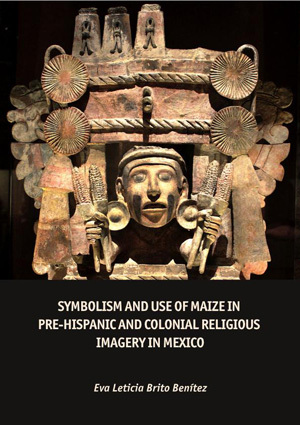 It can give an important insight into the materials used, technological processes, artists’ technique, degradation processes, etc., and therefore provides valuable information that can be further used for studies in connection to the different fields, such as art history, history, archaeology, palaeontology, conservation and restoration, museology, etc. According to the words of dr. Howell G. M. Edwards, the first meeting, held in London in 2001, was only a one day event and it brought together only a few enthusiastic scientists who used the technique for artists’ materials identification. In the following years, the conference “Application of Raman Spectroscopy in Art and Archaeology” (RAA) became an established international event. It was held in Ghent (2003), Paris (2005), Modena (2007), Bilbao (2009), Parma (2011), and this year (2013) in Ljubljana. Each event proved an increasing, worldwide interest of different laboratories at Universities, Art Institutes, Museums, etc. for the application of the technique to the field. Furthermore, in the development of the technique, to be more and more adjusted for the characterisation of minute samples, also important companies that produce Raman spectrometers became very much interested. Today, as a result of this collaboration, we have advanced portable Raman instruments, capable of non-invasive investigation of valuable artworks that are being improved in line with the technological advancement. This year’s Congress (RAA 2013), held in Ljubljana, received over 100 contributions from which some 40 contributions were selected to be presented as oral communications while the rest were introduced in poster sessions. Different topics (Deterioration studies and organic materials, Advancements in Raman instrumentation, Surface-enhanced Raman spectroscopy (SERS) in art and archaeology, Raman for characterisation of metal artefacts, Raman spectroscopy in archaeometry, Characterisation of gems and forensic applications, and Non-invasive Raman investigation) were addressed, and the latest advancements were presented in 4 days of full scientific program. In these presentations we learned about new findings on deterioration of materials composing objects, induced by different environmental factors, such as biodeterioration, pollution, light, and humidity exposure. The development of knowledge on this subject is of a high importance for a better planning of conservation-restoration procedures and can help designing a better environment for cultural heritage objects, for their storage and display that has a great impact on their durability. In particular, it was a pleasure to see a high number of contributions dealing with SERS studies. Especially important were the ones that were dealing with designing of new SERS substrates for a more efficient organic colorants characterisation; or the ones that enable non-invasive studies and studies on cross-sections, without any pre-treatment of samples. Considering metals characterisation, we learned about new achievements in understanding of their corrosion processes, deliberate artists’ patinations, and new ideas for designing better corrosion inhibition processes. Archaeometry research gave new findings in ancient artefacts characterisation and understanding of their degradation processes. Some of the interesting lectures were dealing with important aspect of finding possible solutions for their preservation. Ljubljana, A view of the Prešern Square and Franciscan Church of the Annunciation. Ljubljana Castle, the venue of the RAA 2013. Participants of the RAA 2013. This year, forensic applications received a special topic in which gemstones characterisation, provenance, and authenticity research were discussed. Important, highlighted topic was also non-invasive Raman investigations in which we learned about new results that can help in interpretation of often challenging Raman measurements. As many research laboratories are taking the advantage of portable, non-invasive instruments in order to keep the full integrity of works of art, the technological advancement has been dictated in that direction in the recent years. That was presented by well-known companies in the field of Raman instruments production such as Renishaw, HORIBA Jobin Yvon, Optik Instruments, B&W Tek, Nordtest, BaySpec, WiTec and XGLab. Furthermore, during the breaks and poster sessions, these companies, which were also the conference sponsors, were able to present on-site measurements utilising their new portable instruments. For that purpose, IPCH’ Conservation Center provided small model paintings that were investigated in front of the attendees. That way, the new abilities of the Raman equipment was presented on-site, giving a very nice and interesting communication among the attendees. Last, but not least, the latest work on Raman database of the Infrared and Raman Users Group (IRUG) was presented. Furthermore, we had a live web discussion with Beth Price from the Philadelphia Museum of Art (USA) and Boris Pretzel from the Victoria and Albert Museum (UK) who are very much involved in creating the database. Through this webinar connection the attendees were able to ask questions and discuss different aspects of web available Raman database directly with the scientists responsible, who unfortunately were not able to join us in Ljubljana. This year’s Congress featured keynote speakers from Howell G. M. Edwards (University of Bradford, UK), presenting “Raman Spectroscopy of Extremophilic Biodeterioration : An Interface Between Archaeology and the Preservation of Cultural Heritage”; Costanza Miliani (Istituto CNR di Scienze e Technologie Molecolari, Perugia, Italy), introducing “The Art of non-invasive in situ Raman spectroscopy: identification of chromate pigments on Van Gogh paintings”; Marco Leona (The Metropolitan Museum of Art, New York, USA), who spoke about “Surface-enhanced Raman spectroscopy in art and archaeology”; Juan Manuel Madariaga (Department of Analytical Chemistry, Faculty of Science and Technology, University of the Basque Country, Spain) presenting “The contribution of Archaeometry to understand the effects of past and future Changes in the World Heritage site of Pompeii (Italy)”; to Marcello Picollo (“Nello Carrara” Institute of Applied Physics - National Research Council, Florence, Italy), giving introduction to “The Infrared and Raman Users Group Web-based Raman Spectral Database”. Because this year’s important emphasis was also to support young scientists, a special award was given to the best younger scientist’s poster by the Molecular Spectroscopy Group (MSG) of the Royal Society of Chemistry, London. It was a pleasure to hear so many contributions of high scientific quality, as maybe only 2 or 3 were average. It is therefore difficult to make a selection which of them deserves a special attention here. For sure, it is important to mention the young scientists who received the prizes. MSG contributed the grants and provided with educational opportunities. The first price for the best younger scientist’s poster was awarded to Federica Pozzi, for the contribution “Application of surface-enhanced Raman spectroscopy (SERS) to the analysis of red lakes in French Impressionist and Post-Impressionist paintings”, co-authored by Francesca Casadio. From the contribution we learned about the presence of organic colorants in colour layers of invaluable works of art of The Art Institute of Chicago’s collection of Impressionist and Post-Impressionist paintings, such as masterpieces by Manet, Monet, Renoir, Gauguin and Van Gogh. The second prize went to Spain, to Julene Aramendia, for the contribution “Characterization of Middle Age mural paintings: in-situ Raman spectroscopy supported by different techniques”, co-authored by Marco Veneranda, Mireia Irazola, Marta Díez, Ane Iturregui, Kepa Castro, and Juan Manuel Madariaga. This poster presentation featured Raman investigation on several wall paintings from two different churches in Alava (Basque Country, Spain): one from the 14th century located in “La Asunción” Church (Alaiza) and the other one from the 15th-16th century located in “San Esteban de Ribera” (Valderejo). The molecular and elemental analyses carried out in this study tried to survey the original materials used by the artists, to identify the pigments used in ulterior repaints and to classify the main products formed due to the different sources of deterioration. The third prize was awarded to Margarita San Andrés, for the contribution “Raman Spectroscopic Study of the Formation of Fossil Resins Analogues”, co-authored by Oscar R. Montoro, Mercedes Taravillo, José Manuel de la Roja, Alejandro F. Barrero, Pilar Arteaga, and Valentín G. Baonza. From the contribution we learned about spectroscopic evidences of possible chemical pathways that took place in the formation of fossil resins. In addition to the poster prizes, the Scientific Committee of the RAA 2013 congress selected also the best oral presentations given by young scientists. The first prize went to Maria Cristina Caggiani for the contribution “The blue colour of glass and glazes in Swabian contexts (South of Italy): an open question”, co-authored by Pasquale Acquafredda, Philippe Colomban, and Annarosa Mangone. Among others, the contribution offered a better understanding into the use of blue minerals for glass and glazes by showing in depth study on experimentally reconstructed archaeological samples. The second prize was awarded to Céline Daher for the presentation “Multi-technical approach for the study of French Decorative Arts furniture and luxury objects”, co-authored by Ludovic Bellot-Gurlet, Céline Paris, Juliette Langlois, Yannick Vandenberghe, Jean Bleton, Anne Forray-Carlier, and Anne-Solenn Le Hô. 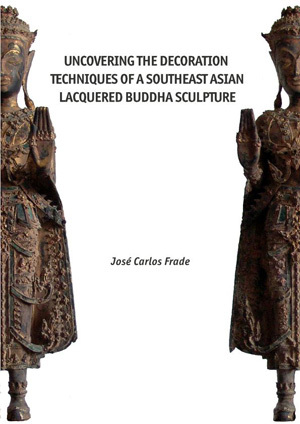 The contribution showed important scientific data for improvement of the varnishing techniques knowledge in the Decorative Arts field during the 18th century to enrich the history of art and techniques, and for developing a better conservation strategy of such fancy objects. Finally, the third prize went to Klara Retko for the contribution “New photoreduced substrate for SERS analysis of organic colorants”, co-authored by Polonca Ropret and Romana Cerc Korošec. The presentation introduced a new UV-photoreduced substrate, using hydroxypropyl cellulose as the stabiliser and silver nitrate as the initial substance. The characterisation of the new SERS substrate showed that it is stable for several months and the aggregation of silver nanoparticles is induced spontaneously with no need of adding any aggregation agent. The properties of the new substrate were compared among some other known substrates and also successfully tested with alizarin as a model substance. Furthermore, it was shown that it can be used also for the organic dye analysis on cross sections. It can be concluded that the high quality of scientific contributions presented by young scientists, not only those awarded, gives us an assurance that the development of Raman studies in the field of Art and Archaeology will continue to flourish in the following years. Apart from high quality presentations given by young scientists, a lot of advancements were represented by different research laboratories, worldwide, many of them very impressive, and here are two, dealing with famous artworks and archaeological site. 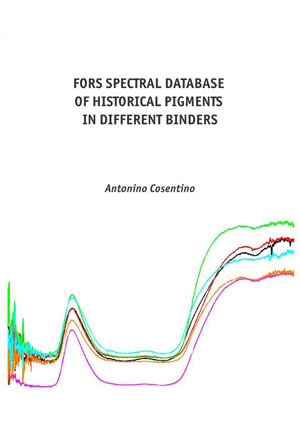 Costanza Miliani gave a detailed discussion of Raman spectra of chrome yellow pigments and a comparison between the results collected from model paint samples and those collected from paintings by Vincent van Gogh and contemporaries. With these examples the potentialities and limitations of non-invasive Raman studies were illustrated. In situ non-invasive MOLAB Raman investigations on the painting Sunflower by Vincent van Gogh showed the distribution of pure chrome yellow in its co-precipitated forms, and provided possible explanation why only some chrome yellow-painted areas of the painting are prone to darkening. Juan Manuel Madariaga showed interesting results of Raman measurements on small sample fragments (wall painting, mortars, walls, biofilms on pigmented layer, efflorescence crystals, etc. ), as well as spectral information obtained in-situ during three expeditions at Pompeii. Additionally, results on analysis of samples of volcanic ashes, lapilli, current and foundational soil were shown, together with the chemical composition of rain water sampled in Pompeii. This information was important in order to interpret some results obtained when analysing the composition of the walls and the wall paintings, to determine deterioration processes. Furthermore, I believe that participants enjoyed also a great environment of Ljubljana Castle, where the sessions were held, as well as all coffee and lunch breaks during which a nice short walk on the sunny yard was possible. There also was a very nice atmosphere during all social events that we organised; at the opening of the art photography exhibition at the Ljubljana Castle (Nino Vranic – memories of heritage, Ars Sloveniae 1967-1970), Cocktail party and guided tour through the exhibition THE WHEEL – 5,200 Years (City Museum Ljubljana), conference excursion to conservation-restoration projects of the IPCHS, Restoration Centre in Lower Carniola region, and the conference dinner in the historical building of Grand Hotel Union in Ljubljana.